A leading figure in the current Jamaican reggae scene, Jesse Royal releases her first album. "Lily of da Valley" is officially released on October 6 on the American label Easy Star Records. After a succession of successful singles and mixtapes (including the Modern Day Judas hit which is close to 10 million views on Youtube), "Lily of da Valley" marks the beginning of the artist's official discography. Spotted by the crew Major Lazer as well as the Vogue and Vice TV media for its decisive role in the revival of Jamaican reggae today, Jesse Royal's music imposes itself with a universal message capable of speaking to the greatest number, to all generations . Considering himself a true globetrotter, knowledge of the world of Jesse Royal enriches and sublimates its texts. The 28-year-old artist uses his music to bring about positive change. He also recalls the importance of the seeds planted by Bob Marley, Peter Tosh or Jacob Miller and asks that reggae be considered what it is, popular music (pop) that the world needs at a time where materialism, individual property and narcissism seem to be more glorified. The title of the album refers to a religious hymn, written at the end of the 19th century. This song, which Jesse holds of his grandmother and religious choir, was an inexhaustible source of reflection and comfort for Jesse during his difficult moments, coming to recall that "Christ came to set an example, not as deity "encouraging a different understanding beyond the simple idolation of the icon to which it was reduced. 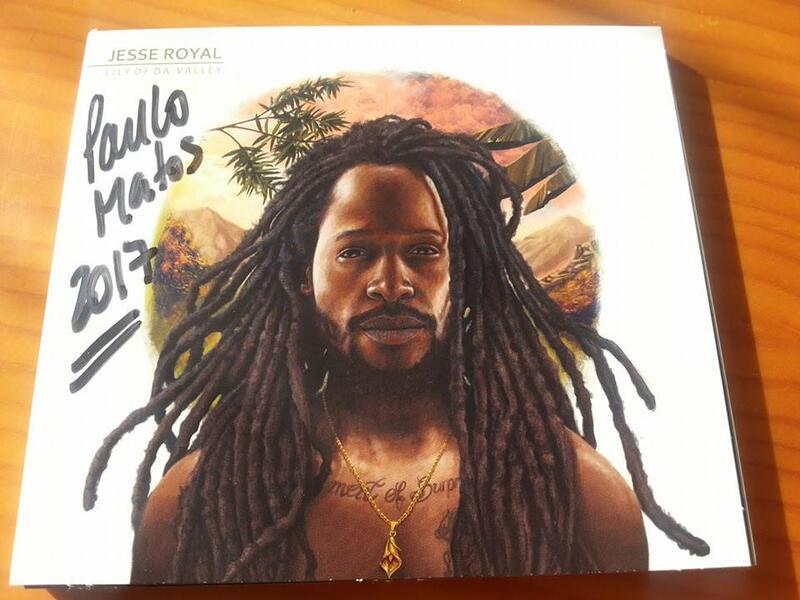 The release of this album comes at a turning point in the journey of Jesse Royal , which celebrates life with the arrival of his first child, at the moment when he has to face the disappearance of his mother. The recording of the album took place in various locations and studios, from Applehead Studio in Woodstock, NY to the legendary Tuff Gong Studio and Big Yard Studio in Kingston, Jamaica. The main inspiration of this album came naturally, in an organic way for the artist who has rubbed himself in recent years to all sorts of instrumental, melodies and lyrics before being able to say ready to release an entire album, composed of powerful pieces. This wise and patient approach guarantees undeniable writing and composition for this opus, along with sound engineers / arrangers, Llamar 'Riff Raff' Brown , Kareem 'Remus' Burrell(worthy heir of Fatis Burrel of Xterminator) and Kurt White . Three personalities who have managed to take the singer to the end of his vision, his desire to reposition the reggae in the present while respecting the musical heritage of the ancients. With this approach, he also tries to make young people understand that "there is room for them if they are creative" . Fans of Jesse Royal will be able to enjoy the tracklisting of the Modern Day Judashit and the hymn to the ganja Finally in addition to the recently released singles like Always be around and Generation Ft Jo Mersa Marley . Also noteworthy is the participation of artist Patrice on the title Waan Go Home . For those who have not yet had the chance to discover this inspired voice, this album of 14 titles delivers a conscious and new look on our world, without hiding the most important social problems, from religion to oppressions, opus starting on the most talkative 400 Years . Jesse Royalis not afraid to raise the tone and approach the controversial subjects but also knows how to leave the part to authentic 'love-songs' like Real Love , Always be around or Full Moon . So many pieces that come to give body to one of the most awaited albums of the year. 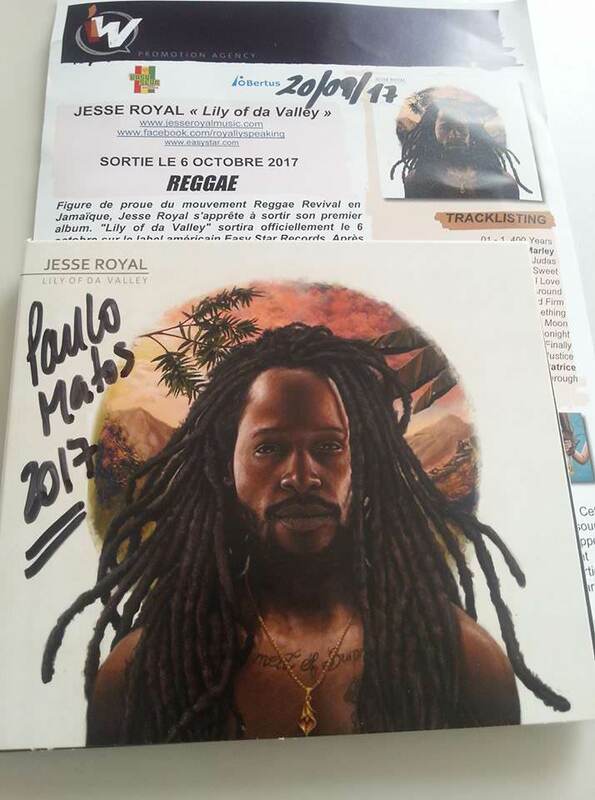 This first official album of Jesse Royalmarks a milestone in the career of this artist, already considered one of the most influential reggae artists of his generation. And it has so far only with simple mixtape and single that it knew to impose itself! This album builds without time constraint thus avoids the 'filling' and the ephemeral fashion effects, a consistent work, of a solidity to any trial! Joining the Easy Star Records label, Jesse Royal is now part of a large family of artists alongside The Skins, Rebelution, The Black Seeds, The Green, Gentleman's Dub Club, Easy Star All Stars, John Brown's Body Expanders and many artists who bring Reggae to life today, from New York to London, from New Zealand to Hawaii and beyond! Jesse Royal knew how to surround himself, today managed by Lukes Morgan (Morgan Heritage) who also owes the outbreak of Raging Fyah. Jesse also collaborates with Cristy Barber, who is known to have managed the careers of Damian 'Jr Gong' Marley, Stephen Marley, Beenie Man, Buju Banton, SOJA and many others.